Do you want to refresh your social media marketing? Do you want to offer your users a highly engaging way to interact with your brand and company? Then it’s time to consider using videos on your social media accounts! If you have a significant number of followers, Facebook Live, YouTube Live, and other streaming services make it easy to connect with your audience. Live videos often are most effective for announcements, behind-the-scenes looks, and product information videos. When it comes to formatting, regular short video updates can continuously engage your audience, while longer live video sessions can be a way to dig deeper with your followers through Q&A sessions and direct chats. Tutorial videos have mass appeal and are among the most shared on social media. The videos can relate to your products and services or can be broader topics that relate to your audience and industry. Tutorials need to be clear, educational, and entertaining. They need to be long enough to show every step and short enough to be engaging. The most important information needs to appear in the first minute, while the total length shouldn’t surpass more than a few minutes. Informational videos can cover any topic. Build your content archive with videos on a variety of relevant topics. Make them unique, clever, or insightful. When adding video to your social media, concentrate on content likely to be shared: something valuable to make it worth the viewer’s time. You must be careful when producing informational videos, as they can come off as boring or dry. Your content should not only be interesting to the viewer but should also provoke the viewer to want to share it. Behind-the-scenes videos are a great way to make your company more human. Highlight day-to-day operations, your offices, your manufacturing processes, and more. Interview employees, talk to the vendors you’re closest to, or speak with your best customers. All of these things are designed to give potential customers a better idea of how your company works and who you are. This type of video is designed to build trust and brand identity. When followers interact with brands online, they may not have a firm sense of the brand’s identity. It is difficult to convey the brand personality in just a few characters on a screen. A video really gives the opportunity to dig down into what makes a brand exceptional. A memorable behind-the-scenes video will grow a relationship between company and customer. User-generated content is quickly becoming a fantastic and easy way to engage an audience. You can encourage your users to create videos and incorporate your hashtags into the upload to give them more exposure. User-generated content is a brilliant way to grow an audience because users are more inclined to share the content they created. Viewing the user-generated content also is an excellent way to get a feel for your audience members’ personalities and what they’re interested in. When requesting user-generated videos, the most important aspect is to directly interact with and acknowledge your audience. Your users make an effort to produce content for you: They need to be properly rewarded. Praise the best content, share all the content, and give attribution to all the users. Encourage users to share content they like, and make sure you track your hashtags. By consistently producing different types of videos, you can bring in an audience from multiple platforms and demographics. 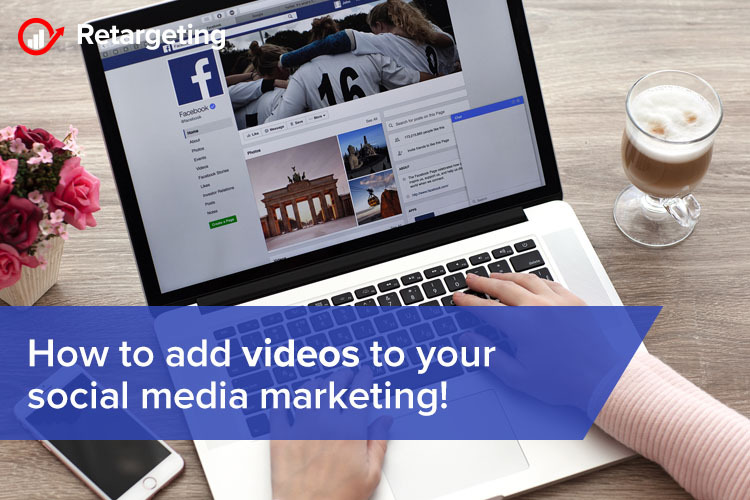 A healthy mix of video content on social is essential to making sure your video content campaign continues to grow and your social media continues to attract followers. Market your beliefs, not only what you sale!